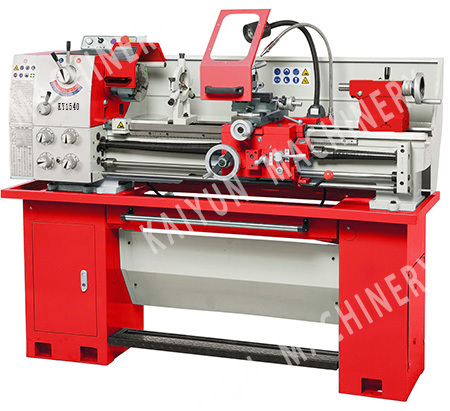 As a professional supplier of metalworking and woodworking machinery in China, Yangzhou Kaiyun Machinery Company has established a long-term cooperative relationship with 12 domestic, qualified lathe manufacturers who provide us with OEM service. We mainly provide bench lathes, variable speed lathes, combination lathes, metal band saws, drilling milling machines, drilling machines, and metal forming machines. We fully realize that providing quality products is vital to our success, so we implement strict quality control measures to inspect the metalworking machinery, woodworking machinery and other products supplied by well-known manufacturers. Thus, we can ensure that our products are durable and of high quality. Our customer service is how we keep our clients happy. We have established an excellent customer care team to handle any questions or concerns that arise. In addition, we offer a one year warranty on our products from the date of purchase,all customers enjoy free new parts to repair or change the defective parts during the guarantee period .This warranty does not include parts due directly or indirectly misuse,abuse,accidents,alterations or caused through lack of maintenance etc..Customer feedback is also important to us, and we use that data to improve on service and products. As a result, our quality metalworking lathes, woodworking lathes, and other products are popular in American and European markets. If you are in need of bench lathes, metal forming machines, or other related products, or if you have special requirements, please do not hesitate to contact us. Our sales and service personnel are waiting to promptly assist you. We welcome you to try Kaiyun products and we are certain that you will be happy with your purchase.